Congratulations to Hilary Walters-West pictured signing her NCAA Letter of Intent. 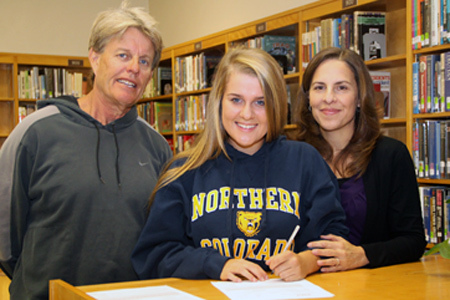 Hilary received a scholarship to play Tennis for the University of Northern Colorado in Greeley Colorado. Hilary looks forward to pursuing her degree in Business.